The Jewish people have a special relationship to wine that predates even the Romans and Greeks. For the ancient Jews, whose temple in Jerusalem was renowned throughout the fledgling civilizations of the Middle East, wine played an important role in religious ritual. Today, thousands of years later, it continues to do so. Kiddush, the prayer over the wine, traditionally announces the beginning of the Sabbath on Friday night as well as other holidays. And so it should come as no surprise that the Herzog family has been making wine for a long time. They trace their winemaking origins back to Philip Herzog, who made wine in Slovakia for the Austro-Hungarian court more than a century ago. Philip's wines were so appreciated by Emperor Franz-Josef, that the emperor made Philip a baron. 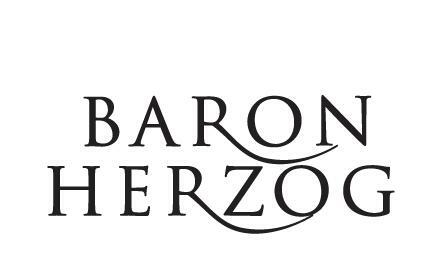 The Baron Herzog wines--a line of premium yet moderately priced California varietals--are named to commemorate the honor. Baron Philip made both kosher and non-kosher wines. The kosher wines were made in a separate cellar and tasted remarkably like his non-kosher wines. Indeed, the wines were made in the same basic manner. However, the kosher wines required a Jewish, Sabbath-observant cellar crew. During World War II, Philip's grandson Eugene hid his family from the Nazis by moving them around the Slovakian countryside. After the war's end, he emerged from behind a false wall in a courageous Christian friend's woodshed to reclaim his family's winery. But three years later, the new Czech communist regime drove the Herzogs away from their European home for good. Forced to leave with little more than the clothes on their backs, the family said goodbye to their former royal economic and social stature. Eugene brought the family to America in 1948 after the Holocaust. He arrived in New York City with his wife, Sidonia, six of his own children and two additional war orphans. They moved to the Williamsburg section of Brooklyn with only enough money to rent a two-bedroom tenement flat. With his winemaking skills, Eugene found a job at a small kosher winery tucked away into a storefront on Manhattan's Lower East Side. For a paltry salary, he made sweet, Concord-grape wines in the cellar. (European grape varieties for dry wines were not easy to obtain in post World War II New York.) He also drove the wine delivery truck. But because the company was so poor, he was paid for his driving acumen in company shares, not cash. For years the shares were worthless, but by 1958, all the other shareholders had given up their shares. They assumed the business was doomed to failure. Eugene and his sons, who all went to work at the winery, proved them wrong. They called their new venture Royal Wines, in deference to their grandfather, Philip. Semi-sweet . Berry . Cherry . Floral. Medium-bodied"Jeunesse Cabernet Sauvignon displays a vibrant ruby color, soft texture and perceived sweetness on the palate, with aromas of fresh berry, cherry and floral notes." "Produced in California, this particular Baron Herzog wine is produced using grapes grown in the Central Coast regions of San Luis Obispo and Edna Valley. All of the grapes were blended before bottling, but aged separately to create an approachable, yet impressive Cabernet Sauvignon." Lively and refreshing with aromas of fresh cut strawberry and cotton candy. A crisp texture, bright color and distinctive fresh taste make Baron Herzog White Zinfandel remarkably versatile. "Lively and refreshing with aromas of fresh cut strawberry and cotton candy. A crisp texture, bright color and distinctive fresh taste make Baron Herzog White Zinfandel remarkably versatile." This Sauvignon Blanc is grassy and floral, with citrus fruit character. It's dry, medium-bodied, and goes well with fish or light meals. Drink lightly chilled. Mevushal and Kosher for Passover.